Yesterday I and my friend went to buy maths and physics books from Koti, a thirty-minute drive from my apartment. It was after long time back that we were going because most of the time our feet were firm on floor and we spend our time within the four walls of our apartment, when during holidays, either studying or reading or surfing. It was Monday yesterday, after the class we returned home and decided to go for books. As obvious, the highway was clothed in innumerable vehicles and there was heavy, a lot of traffic. Within no less than aforementioned time, we reached there and directly headed towards the book shop we have been buying since last year. We inquired the seller about our books, half-fortunately we got only maths but not physics. Moved to another shop. Same. I browsed through the book stores and was busy searching for my-type of books. After few minutes, I found these two books staring enthusiastically at me, wishing me to buy them, so I couldn't help myself from confidently putting them in my bag after a consent from their owner. Now, they are mine and I will be their owner. Unlike, previous owner, I will keep you in full engagement and exercise you. Do cooperate with me. I know you can. 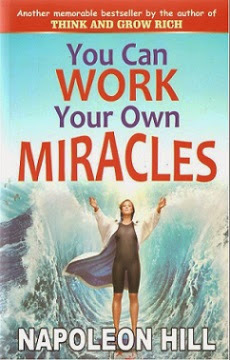 You Can Work Your Own Miracles by Napoleon Hill: ...If you learn to tap the miraculous power that lies within your own personality. Success belongs to those lucky people who are blessed with successful personalities. With these outstanding human beings, success is a daily miracle, a way of life, a habit. Business men, preachers, doctors, soldiers, artist-people in every walk of life - are learning to achieve their success, to live the life they want... Through the miraculous power of the successful personality. You can be one of these people. 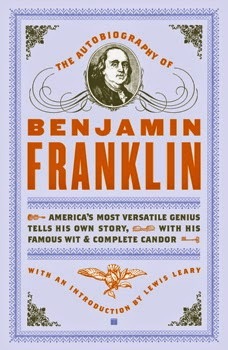 The Autobiography of Benjamin Franklin by Ben Franklin: Few men could compare to Benjamin Franklin. Virtually self-taught, he excelled as an athlete, a man of letters, a printer, a scientist, a wit, an inventor, an editor, and a writer, and he was probably the most successful diplomat in American history. David Hume hailed him as the first great philosopher and great man of letters in the New World. Written initially to guide his son, Franklin's autobiography is a lively, spellbinding account of his unique and eventful life. Stylishly his best work, it has become a classic in world literature, one to inspire and delight readers everywhere. As quoth by Joseph Addison, "Reading is to the mind what exercise is to the body," as you jog for your body you must also jog for your mind through books. Reading is the only way that one can learn in much extreme ways. Nothing can, apart from those wisdom-loaded books. And not forget William Godwin's awe-inspiring wisdom; "He that loves reading has everything within his reach." My message, take hold of your good book and start mining gold from it. As tomorrow is Daw Chunipai Losar, Bhutanese's New Year Celebration, especially for easterners Sharchokpa and myself being a true Sharchokpa I wish my fellow beloved mates and beings a Happy Daw Chunipai Losar. May happiness shroud you all for your endless beings. And for me, I will be having Losar with my above two friends. Wishes from me. Do Great. Take Care. thanks for your selfless information bro..i will also make them my possessions...anyway hope all is well with you,,,,take care....losar lu tashhi delek.. I have nominated you for the blog award. Please check on my blog.